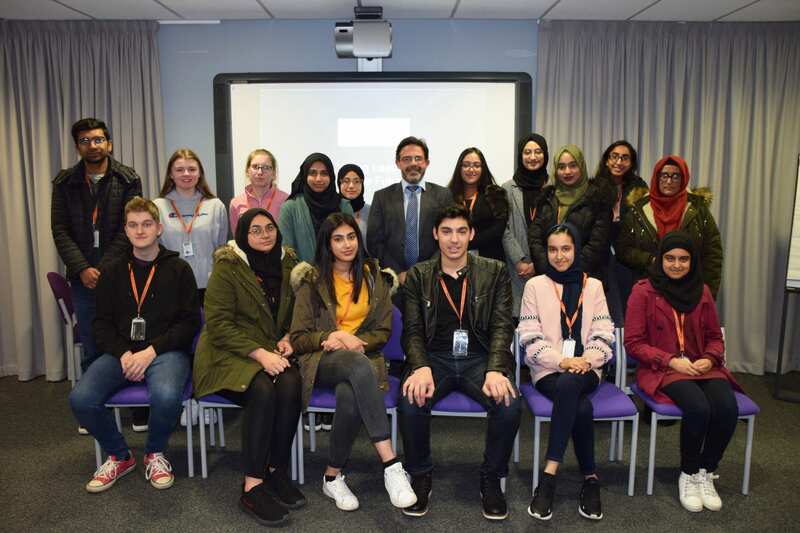 Students at Nelson and Colne College are well on their way to becoming Young Leaders through one of the college’s pioneering extracurricular programmes. The Young Leaders programme at NCC is an exciting new initiative where 18 students have become Ambassadors for the College, representing the student community, making a difference to aspects of College life and are inspiring others to better themselves. Through the programme, students are identifying and refining their leadership skills, discovering what it takes to be an effective communicator and a top leader, and are enhancing their presentation skills. All of the Young Leaders have also automatically secured a place on the Peer Mentoring Programme in College which sees students supporting their peers who are struggling with their studies. One student on the Young Leaders programme is former Park High School student Edward Standring, 18, who is studying Geography, Geology and Physics at NCC. He said: “I’m finding the Young Leaders programme really interesting as I’m developing people skills. I think my confidence and communication skills have improved and these will be important for the working world. Wardah Razaque, 17, formerly of Pendle Vale College, is also on the programme. She is studying Biology, Chemistry and Mathematics at NCC and is hoping to progress on to a Russell Group university to study Medicine. She said: “The Young Leaders programme is inspiring me to achieve what I want to be in the future and it has really shone a light on what skills you need to be a good leader. Principal Amanda Melton said: “I’m really pleased that students have taken up the opportunity to develop their leadership skills which are incredibly important in all areas of life from social to business, and in professional settings or in the home. Nelson and Colne College is the number one college in the country for 16-18 learner achievement and 16-18 timely Apprenticeship achievement. The college is also number one in Lancashire for A Levels and vocational courses, based on progress scores, and is the leading FE College in the country for GCSE Mathematics progress and second nationally for English progress.